Before the boyfriend left to HK, he left me with a shopping spree amount. It's bascially to cover some expenses here and there just in case I don't know how to take care of myself. It's also supposed to be a present for a special occasion which I don't want to mention in case I JINX IT like I did last time! Anyway, so this is my first choice because its beige and it has the Rose Gold Hardware that I'm LOVING and its a really nice size. The problem is, this price is definately out of my price range for a B-Bag. This one is one of my fave colors for a B-Bag as well, I also like that it has a Giant Hardware but I'm not loving the silver. I find it too shiny and in-your-face. 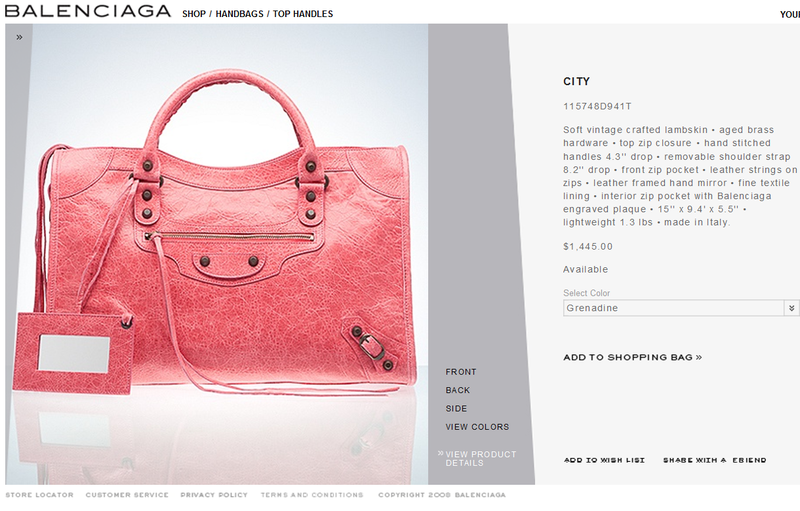 I would prefer this Grenadine color + Rose Gold hardware. 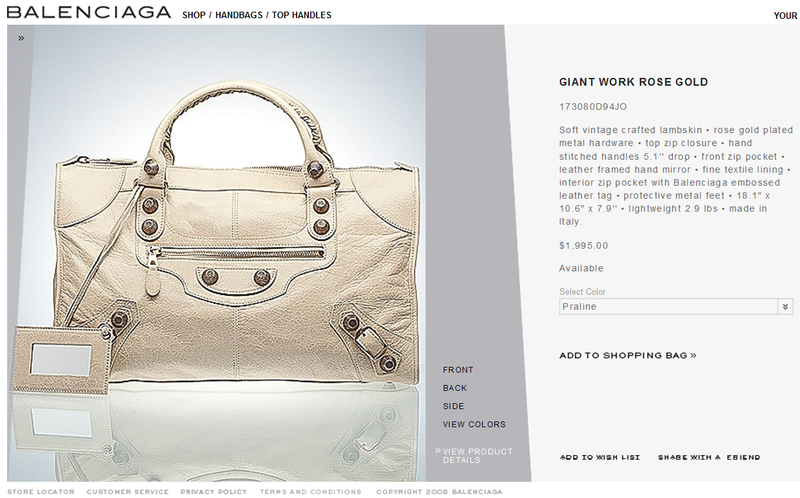 I dont mind the size and the price range is probably my maximum for a B-bag. 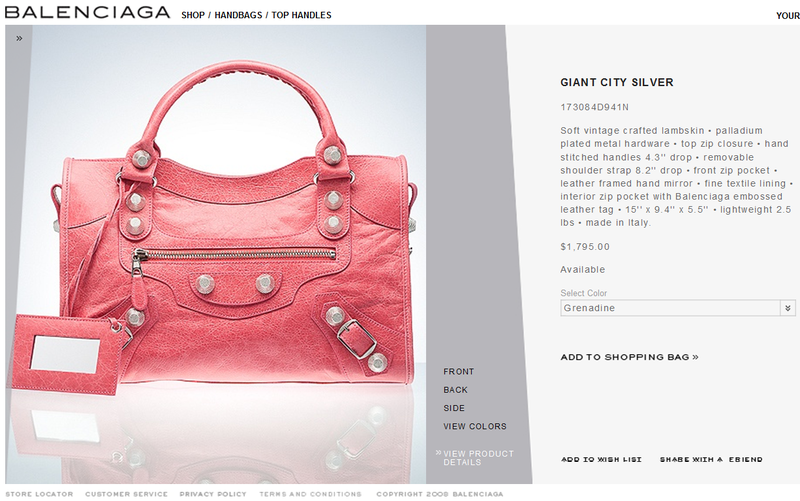 Anyone know the prices for Balenciaga in the outlets??!? !